Samsung's new flagship Galaxy S8 and S8+ smartphones went on sale today in the U.S., Canada, Puerto Rico, and Korea, as the company looks to rebound from last year's Note7 debacle. 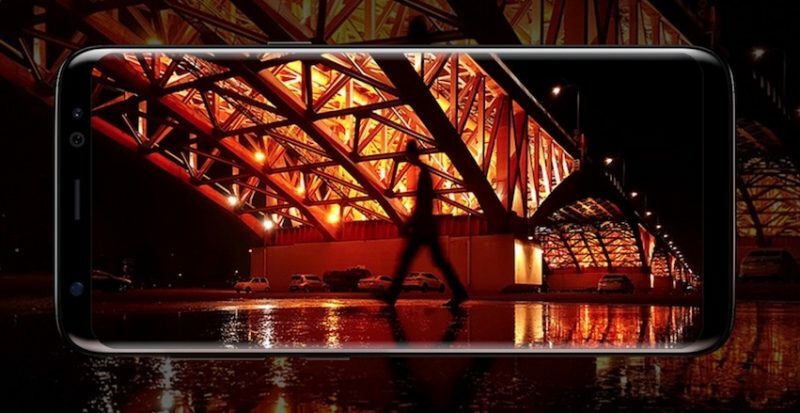 Samsung will be encouraged by the record one million pre-orders it has already taken in Korea alone, while analysts are predicting global sales to reach at least 45 million units. The 5.8-inch and 6.2-inch devices cost $725 and $825, respectively, which gets users an OLED screen that takes up 80 percent of the front of the handsets. Online reviews appeared earlier this week praising the phones' Infinity Display, but several marked them down for the relocation of the fingerprint scanner to the rear of the devices, right alongside the camera lens. The camera itself has received less coverage, as it's actually the same 12MP dual pixel module as the one that appeared in last year's Galaxy S7. However, Samsung has tweaked the software powering the f/1.7 lens in an attempt to improve image processing. 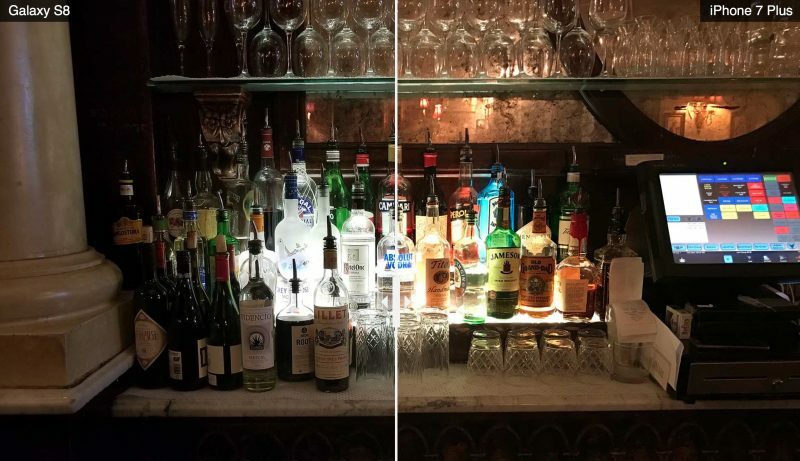 To compare the results with those of the iPhone 7 Plus, Tom's Guide posted a selection of side-by-side comparison shots taken with the two rival phones. Overall, the Galaxy S8 came out on top, but only by a slight margin. Despite lackluster macro performance with the S8, both phones' bright light results were said to be generally equal, but Samsung's new device bested the iPhone 7 Plus in well-lit nighttime and low-light shots, offering "generally richer" colors, sharper subjects, and "significantly more detail" in indoor and outdoor tests. Despite the higher megapixel count of the S8's front-facing camera (8MP versus 7MP on the iPhone 7), Apple's phone was deemed to take sharper selfie shots with richer colors, while the two phones were tied in 4K 30fps video tests, although the S8's audio was said to be slightly cleaner. Apple is thought to be testing a new dual-lens camera system similar to the iPhone 7 Plus for this year's upcoming OLED iPhone, which will have a Samsung-made display. Rumors suggest the front-facing camera of the iPhone 8 will use a "revolutionary" 3D-sensing system capable of identifying the depth and location of subjects, which could be used for facial and iris recognition or in future augmented reality features. Low light stuff is where I like to see improvement for sure. Samsung has a great device on their hands, I hope Apple steps it up! This kinda of article are just for getting people's click and posts (wich works BTW). And I fell for it too! How many times must this be repeated? The new S8 Camera is NOT the same as last year's S7 Camera! They have been upgraded to Sony IMX333 and S5K2L2 ISOCELL image sensors. This, in combination with how the Snapdragon 835 and new Exynos chip work (incredibly clever, like how Google Pixel did but arguably now even better) mean that the image processing works in a very different (and improved) way to last year's S7. Those bottles look definitely better on the right side, just look at the marble shelf. EDIT: the composition of the shot may be the reason. I always find it funny how everyone goes on and on about the cameras on these phones. Anyone that is truly serious about pictures and wants top quality when going to an event or something should have a true camera they use for that. Yeah, it's nice to be able to take decent quality shots with your phone, but I don't see why so many look at it as a make or break feature. I'd say because for many people, the camera on their phone is their only camera. Unless you are super into photography, the camera in your phone is more than enough from a quality perspective, is always available, and receives regular updates as hardware improves. Eventually, there will be no reason to have a standalone camera. That's why camera quality is always discussed, because it is important to people. Of course it will but it's not fair comparing the iPhone 7 Plus to the S8 the same way it is comparing the S8 to the iPhone 8, they're released six months apart. That's great because we will hold you personally accountable later if it doesn't. Mark my words.